As a foreigner raised on the “meddling kids” of Scooby Do and The Goonies, I understand intrinsically that underground tunnels lead to treasures, adventures and the creepy caretaker impersonating a monster! Now I’m lucky enough to live in a city literally littered with them and the reality of tunnels is less fun, and way more unpleasant than a creepy caretaker. As our town’s best kept secret, the tunnels elicit endless fascination on my history and culture walking tours. They started back during the Inquisition timeframe, and the Inquisition lasted longer in Mexico than in Europe. During the Colonial era San Miguel de Allende was a wealthy city between the gold and silver mines and Mexico City as the precious metal traveled to Spain. Wagon loads of cargo used tunnels on the periphery of the city for safety. Picture the tunnels you drive through in today’s Guanajuato. The tunnels were flooded with the building of the Allende dam and can be partially viewed during times of drought. In addition to these large tunnels on the outside of town, there are the smaller passages between homes, churches and prison in Centro. Frequently tunnels are stumbled upon when old homes are remodeled in Centro. 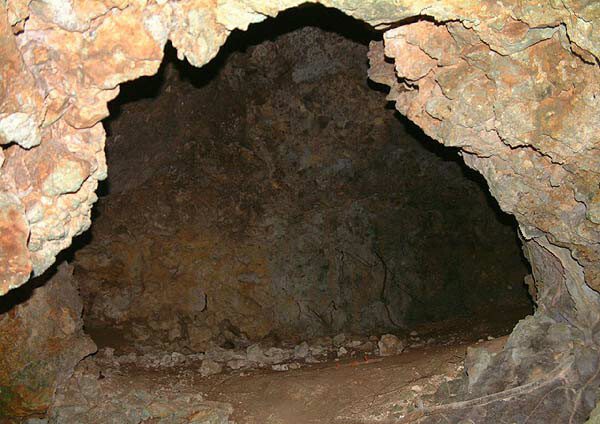 Depending on the structural implications and costs, the tunnels are often filled in with dirt. One pal who lived in the Inquisitor’s Prison did this when he found how prisoners were led there from the nearby Inquisitor’s House once found guilty. Another pal recalls her grandmother’s house had a tunnel leading to it that was used to store caskets her grandfather made and had zero girlhood appeal to go explore with the level of dirt and dust present. Still, it was better than pal whose mother knocked down a kitchen wall in the 1950’s only to uncover the tombs of two long ago residents. The stories behind the residents buried in the tunnels are numerous, from those who went exploring only to die of gas poisoning to the remains of long ago fetuses that were secretly terminated during the Colonial era. 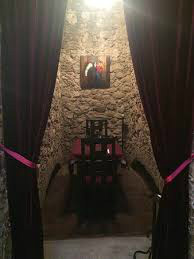 During the religious war of the 1920’s San Miguel’s men would hide in the tunnels to escape being forced into military service against the Church. I’ve heard numerous stories of grandmothers secretly keeping her male family members safe below ground. Add to this to the indigenous believe that caves were the entrances to hell, the devil himself is frequently mentioned as cavorting in the tunnels. If you want to cavort in a tunnel in Centro, I recommend reserving the tunnel table in the Canadian restaurant, Mon Bistro, on Mesones. Here you can enjoy great food in the privacy of your separate table sitting squarely in a tunnel you can come back out of. The tunnels reflect some of San Miguel’s least attractive eras it is unlikely any official efforts will be made to reopen and reconstruct them. Maybe that is for best. Personally I like the idea my tunnels are filled with Shaggy, Velma, Daphne, etc. than the remains of dead babies, hidden husbands and those foolish enough to go explore near gas leaks.